Since I started working for Catholic Charities West Virginia, people are always asking what I think about Pope Francis. I don’t mind them asking. In fact, I appreciate the opportunity to share my opinion about the Pope: I think he’s fantastic. As a meeting was wrapping up on Saturday, I was once again asked about my job and about the Pope. “My job and Pope Francis are both awesome,” I said. 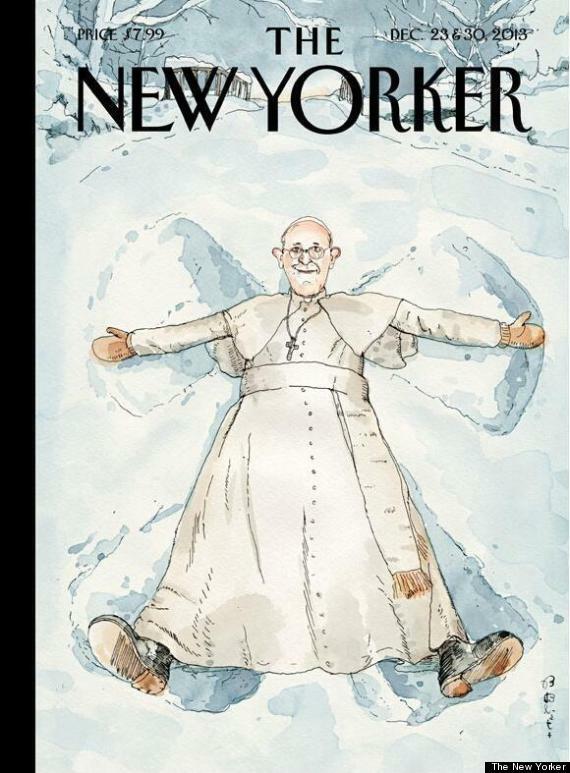 “Did you see the cover of The New Yorker where he is making a snow angel?” one woman asked. “Yes, but will he be able to change church doctrine?” another woman asked. I didn’t have a reply to that because I didn’t think her question was relevant. I may have spent most of my adult life being an advocate for social change, but Pope Francis puts everything in perspective: keep it simple by caring about other people more than anything else. That message speaks to all people no matter what their faith or whether they agree or disagree with any parts of Catholic Doctrine. In a world when many of us spend too much time and energy worrying about what kind of car we drive, whether our children’s achievements are sufficient, how high our tax bill or health insurance premium will be or whether we will have enough money for retirement, Pope Francis reminds us what’s really important: using our time on earth wisely by making it a better place for our fellow humans. Care about other people-all other people regardless of race or religion or nationality or sexual orientation. Help meet the needs of other people, whether those needs are physical or spiritual. Don’t judge other people. Period. I’m pretty sure that’s a message a guy who was born in Bethlehem about 2000 years ago also shared. Here’s hoping the world starts listening.